The Nocatee community continues to grow by leaps and bounds. Realtor.com recognizes it as the 2nd fastest growing suburb in the US, and St Johns County is the 14th fastest growing county in the US. The opening of the new K-8 school, Palm Valley Academy, in Nocatee is exciting news for the many new families with elementary age kids in areas like Twenty Mile. The K-6 students began August 10 (7th and 8th grads will add on as the 6th-grade class rises), and there are already a total of 1294 students with those numbers growing!. Meet Jill D’Amato, one of two brave first PTO presidents at PVA and learn about her vision for the new school. Having served on PTO boards for several years, I know how critical a strong PTO can be in supporting their school. I wanted to utilize my knowledge to be able to get the Palm Valley Academy PTO up and running as quickly and effectively as possible and wanted to set a tone of inclusion and transparency so that PVA really feels like a community school where everyone feels a vested interest in its success. We want to create a sense of community and pride in our new school. We plan on doing this by entertaining family events, fun student activities, and awesome spirit wear. In addition, we want to raise the funds necessary to support the priorities set forth by the parents, teachers/staff, administration, and students this year, so we can create the best possible educational experience for our kids. What is most striking to you about Palm Valley? The good? The bad? The engagement and eagerness to help from our Bobcat families is awe-inspiring. We had over 1500 people show up at our Back to School Bash and had over 170 unique volunteers, representing 25% of families, already volunteer at our summer and first week activities, and we are only in week 2! Everyone has been so positive and patient as we work through the minor bumps that happen with opening a school. I am so blessed to be part of this amazing Bobcat family! Do you have a fundraising goal? If so, what is your number? What was last year’s #? Through the generosity of our community partners and our PVA families, we hope to raise $200,000 this year to fund teacher support and resources, licenses for academic software, additional playground equipment and shading, periodicals and Sunshine State books, etc.. Although this is our first year in existence, we feel confident we can meet this goal. Volunteer your time and/or provide donations to help the PTO meet its goals. Attend the events and encourage others to do the same. Do what you can to be a part of this amazing school. We can accomplish remarkable things when we work together! If you could ask one thing of each parent at Palm Valley what would it be? Stay engaged. We love input and involvement from our PVA families. 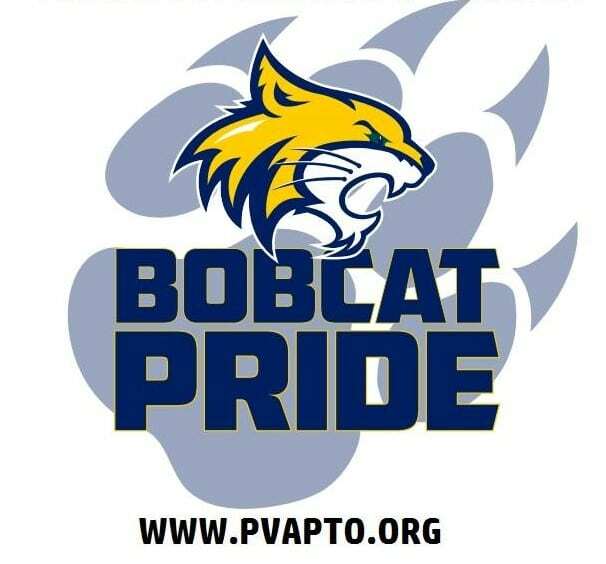 Come join us at our PTO meetings and community events so you can start to meet fellow Bobcat families. We love to meet our new Bobcats! Stay connected with us on our Facebook page and on our website. We welcome questions and suggestions at info@pvapto.org. Go Bobcats!